Naby Keita produced his best performance for Liverpool in Saturday’s 3-0 win over Bournemouth, according to Andy Robertson. The Guinean midfielder, who celebrates his 24th birthday today, joined Liverpool last summer from German side RB Leipzig in a £52.75m deal. But Keita’s debut campaign at Anfield has been hindered by a lack of form and confidence of late during an evidently painful adaption process to Premier League football. 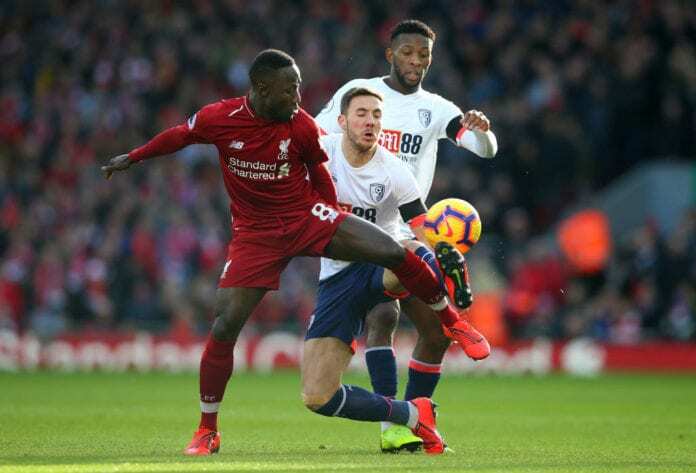 However, the Guinea international flourished in front of the home supporters on Saturday to help Liverpool bounce back from successive 1-1 draws to beat Bournemouth 3-0. Sadio Mane, Georginio Wijnaldum and Mohamed Salah were the scorers as the Reds moved back to the top of the standings for the time being with Manchester City to play Chelsea later today. “I thought that Naby was excellent,” Defender Roberton told the club website. 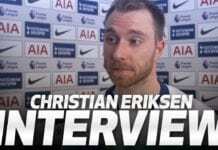 On Keita, Robertson added: “He’s young and he’s had to take time. But if you look at all of us, Fabinho had to take time, me, Chambo [Alex Oxlade-Chamberlain]. “I think everyone forgets how young Naby is – 24, he’s only a young boy. He’s a fantastic player and the more he shows it the more people will start talking about him. Keita, who has started 14 of his 23 appearances in all competitions for Liverpool this season, will be looking to retain his place in the line-up for Tuesday’s first leg against Bayern Munich at Anfield in their last-16 Champions League tie.